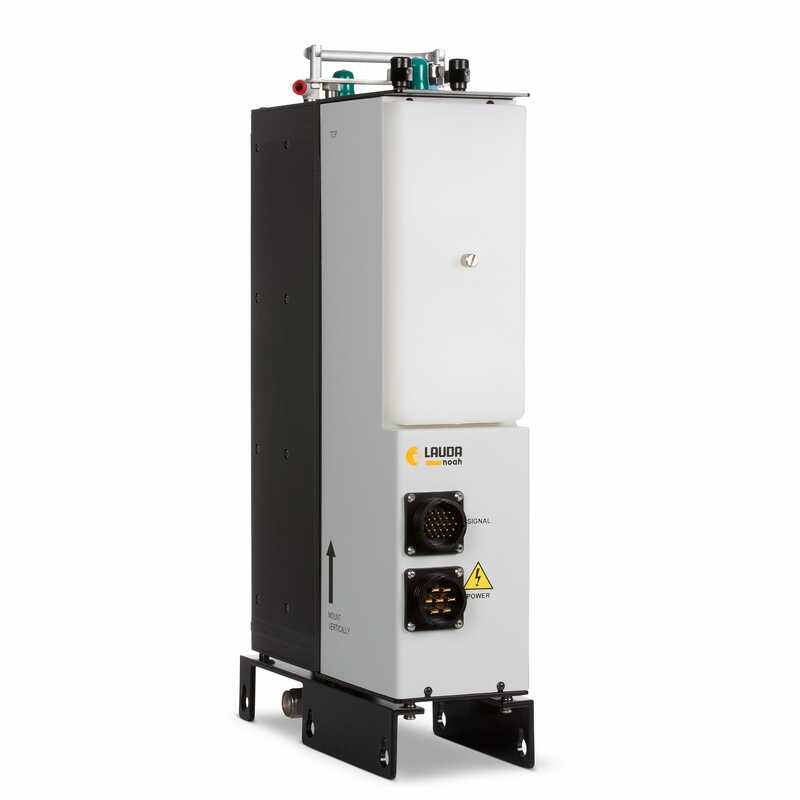 The model POU 3300 Point-of-Use Thermoelectric Temperature Control System provides uniform and repeatable temperature control for plasma Etch applications. This system offers dynamic temperature control of the process chamber cathode / electrode / anode and can be synchronized with any Etch process. By using the POU 3300, Etch engineers can independently control the temperature of the process fluid to the wafer chuck at a level of ~0.1 °C which has proven to be a critical process parameter in,<130nm technology nodes. Today, more than 80% of Lauda-Noah’s Plasma Etch customers use POU 3300 systems, achieving remarkable results in Etch performance, chamber uptime, reducing their Cost of Ownership while increasing “chiller” reliability and creating fab space savings.